Property is theft, Anarchy is order, economic federation, anarchist gradualism. 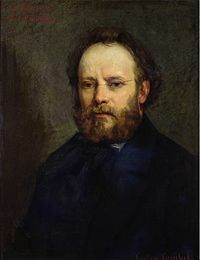 Pierre-Joseph Proudhon (15 January 1809 in Besançon – 19 January 1865 ni Passy) je oloselu, amoye alajojeanfani, ati sosialisti ara Fransi. Àtunṣe ojúewé yi gbẹ̀yìn wáyé ni ọjọ́ 10 Oṣù Kẹta 2013, ni ago 06:52.